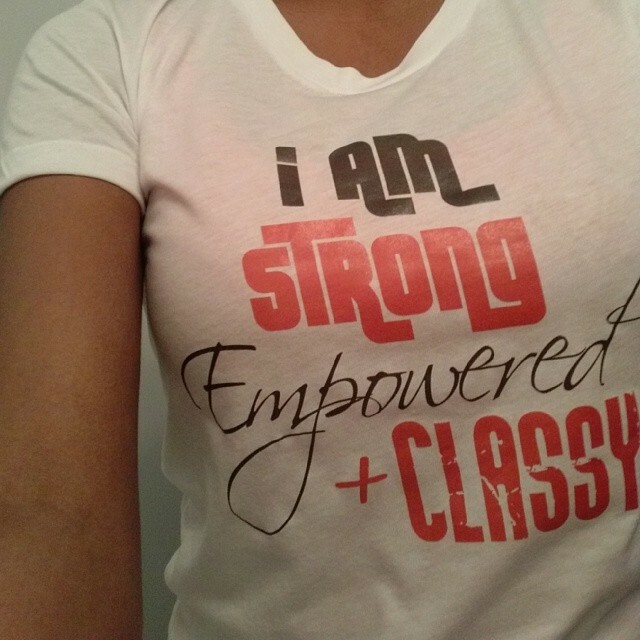 #‎UpgradingMyself‬: I am Strong, Empowered, & Classy! I’m strong because my abs hurt from the abs challenge and my arm muscles are sore from doing more push-ups than I’ve ever done in my whole life last month. I’m empowered over my finances because I actually sat down and made a plan towards becoming debt free. I paid off the first chunk of debt on the list yesterday! Glory to God! I’m classy because I acknowledge the fact that the people that motivated me to get it together the most were the people I didn’t like all the time. It makes you uncomfortable when you’ve been caught slipping and you have a lot of pride. It’s been a really cold winter, I hope you’ve been getting ready for summer time!